Should you bother about the drawing management? Drawings are required from markups to plans to RFIs. Just one mistake can ruin the whole process and result in weird errors. It implies that all the documents when managed in an efficient and organized way is as important as who can carry out the job. Below are the five reasons why drawing management is necessary for construction projects. The number of drawings can vary from 100 to 1000 and more, and this can depend on the size of the project. And this doesn’t even include the revisions made to the drawings. Earlier, the plans were kept in a giant stack. Every morning, all the team members involved were required to check and ensure that they had the latest version from it. Any changes made were attached as revision notes, and new documents were printed. Project management tool drawing helps in keeping track of the latest documentation easily by minimizing the paper copies and assists in maintaining it anywhere, anytime for access by the stakeholders. Though one is still required to upload the plan files, maintain them by name and so on. And when a change occurs, a person has to ensure that the central files are updated so that everyone knows about it. However, even with the latest technology, mistakes can happen. 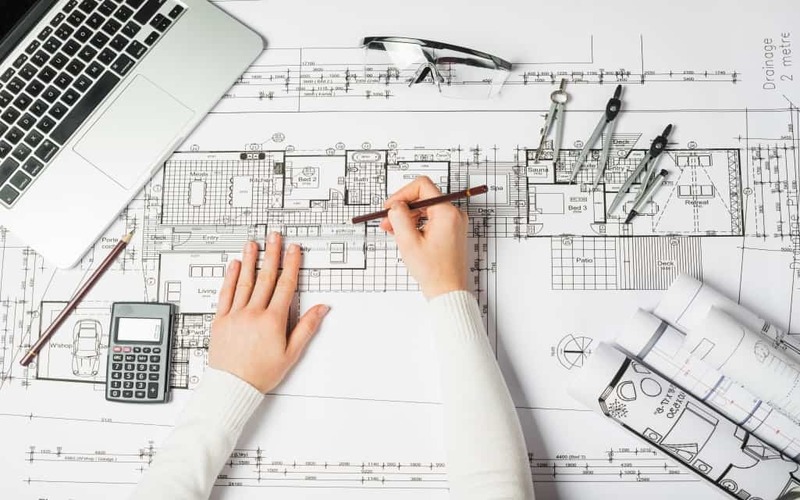 It is a good fortune that the new construction software can remove the issues that may spring up by designing a set of plans which can be accessed and updated from the tablets, laptops and mobile devices. It also makes sure that the project team has the latest data to work. In a nutshell, with less document management, there are minor issues. It happens every time. There isn’t a day when no issue erupts on the field. It can be unexpected, due to a discrepancy in the plan, or a conflict between two aspects of a program. These are part and parcel of the construction project. Managing them is equally cumbersome. Earlier, when technology had not made inroads into the construction industry, issues were written manually and then delivered to the individual concerned and the owner responsible for making decisions, then communicate the solution to the contractor and also back to the field workers. A wrong communication can pave the way for delays and problems. The issues in communication can put schedules on hold until the plans get resolved. Fortunately, cloud-based, drawing management can make the process less troublesome. This offers an easy method to record issues in the drawings to alert the right people. This ensures communication and also that everyone concentrates on the similar problems and solutions in the office and the field. The clients can have more clarity. The owner should be aware of all the things that take place as regards the project, how the final thing would come about, what the construction phase is like and everything that ensures that the things look up-to-date. A person would take care of updating the relevant documents, files, reports, and models. Cloud-based document management which is combined with 3D modeling can help the owners track the progress of the projects in a much-organized way without wasting time. Project management tool drawing is quite useful in a way that 3D allows owners, contractors and other stakeholders to access it in detail. This comprises the structure, ductwork, piping, cable tray, and so much more. These are just not possible with the 2D drawings. This doesn’t mean that if an owner prefers 2D documents, you can’t have that. These drawing management tools for construction drawings are equally useful in providing you that. The 2D drawings can be created from the 3D model. You need a visual aid to ascertain your point. Drawing can consume a lot of time. It is best to reduce this is by cutting it down by using the right drawing management tool. Make use of the latest technology; you can save on the resources spent on file management and ensure this is done at the earliest.